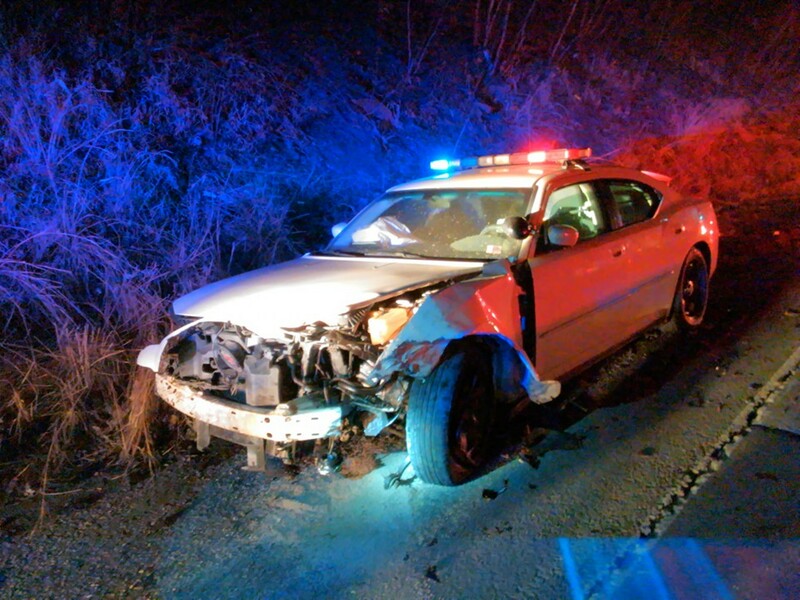 A man is in custody and Shenandoah Police officer unhurt following a police chase late last night that resulted in heavy damage to a Shenandoah police cruiser. The chase started shortly after 11 PM in the borough of Shenandoah when an officer attempted to pull over a vehicle for vehicle code violations. Instead, the driver fled the borough, turning east towards Mahanoy City on State Route 54, in the area of Blaschak Coal Corporation. Unofficial information states the driver impacted another vehicle during the chase. That vehicle was also possibly struck by the cruiser. The information adds that the fleeing vehicle was stopped via spike strips. Humane Fire Company of Mahanoy City assisted with cleanup. Also, responding were Shenandoah Ambulance and Mahanoy City Ambulance. The fleeing driver was taken into custody a short distance from the crash following a foot pursuit. For more information, visit http://republicanherald.com/chase-crash-damages-shenandoah-police-car-1.1977490. Image courtesy of Raymond Anderson. I think those cops need to learn how to drive! !